Even as we revel in the life affirming glory of last night’s women’s 1500 meter final at the IAAF World Track & Field Championships in London, we are constantly reminded of the brief stay that is ours upon this blue, spinning orb. The Boston Globe put out a very nice obituary today on an old friend, and wheelchair racing pioneer Jack Coakley. 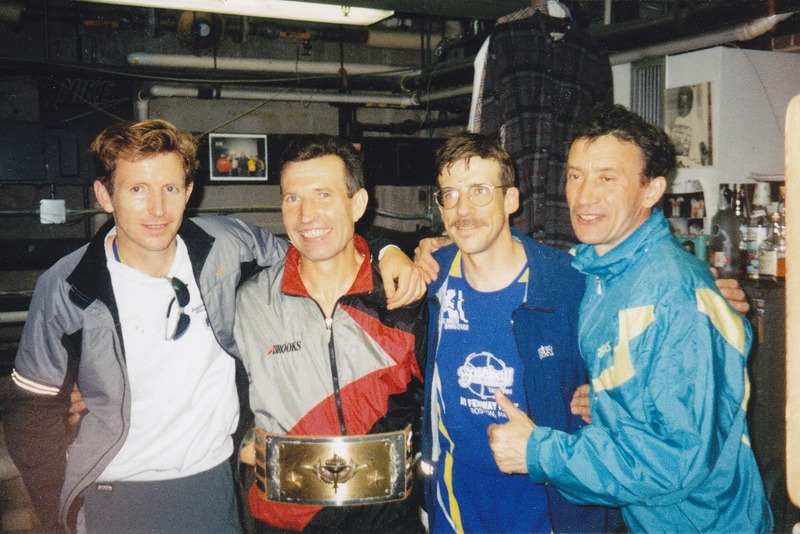 Jack was a 30-year stalwart at the Bill Rodgers Running Center in Boston’s Faneuil Hall. He died last Friday while working out at Rowe’s Wharf gym at age 67. He was a man who asked no quarter, nor gave any in return. RIP wheel man. Upon those of His choosing. The measure that is ultimately me. Even as the running world goes all sideways with allegations of wrongdoing and such, the “real world” continues to spin, though often uncontrollably. 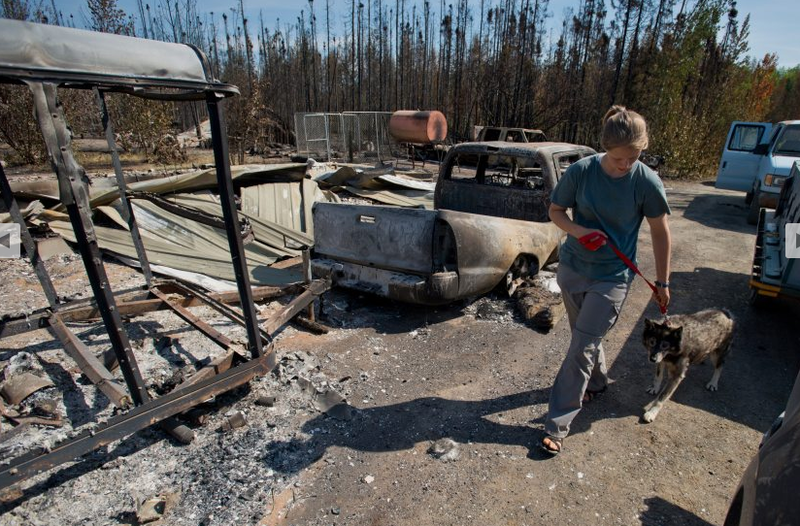 Got a message from Charlie Rodgers yesterday, brother of marathon legend Bill, telling of an old friend Leo Lashock who lost his house, belongings, and three of his dogs to a fire in Willow, Alaska last Sunday. 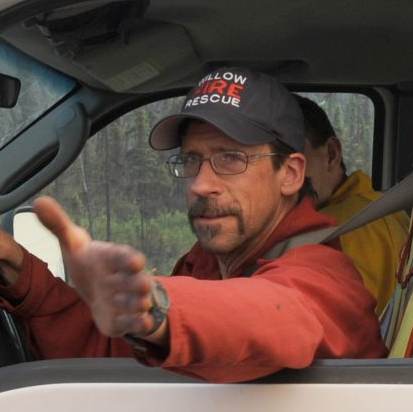 The irony is that Leo, who used to work at the old Bill Rodgers Running Center in Boston, is a captain at the local fire department in Willow, and the house he lived in burned down while he was fighting the Sockeye wildfire as it rapidly spread in the Susitna Valley. Below are the particulars. Help is needed. 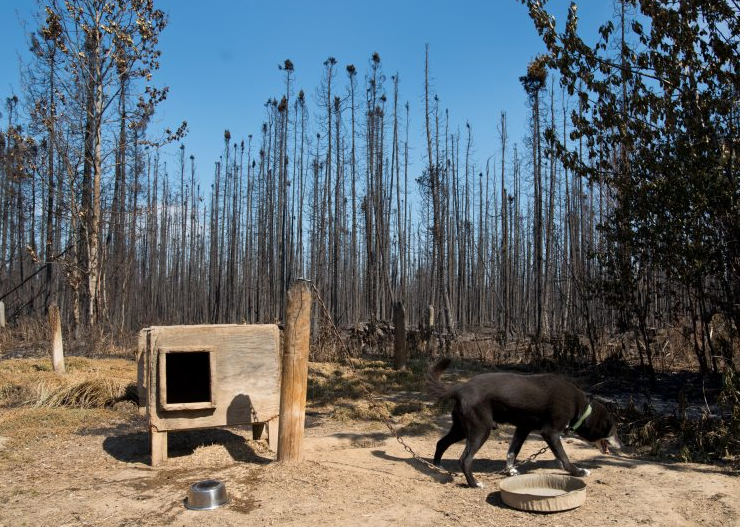 We are just getting started here – Anything you can give will be a great help to Leo & his dogs! His neighbors were able to save 17 of Leo’s dogs. 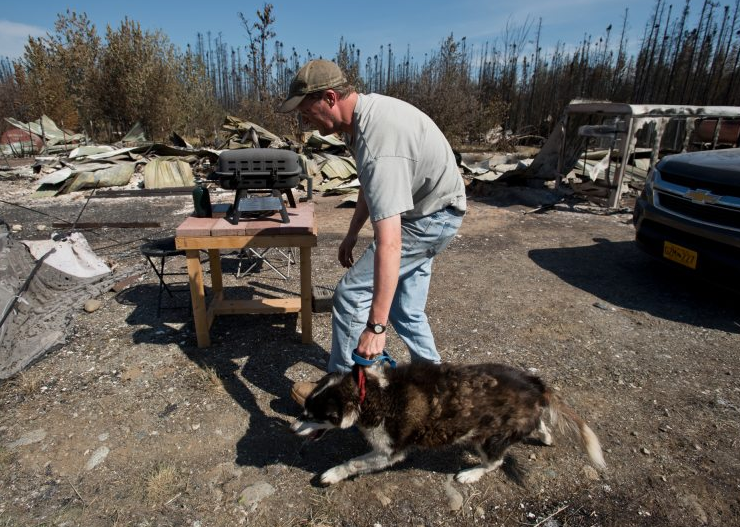 Leo said he lost everything but what he had in a camper truck: 40 years of accumulated possessions; his dog truck, clothing and furniture; even two grandstand seats from the old Fenway Park that he had shipped to Alaska. He’s still putting in 16-hour days and resting at the Willow fire station.Lashock plans to move into the cabin that survived the flames. He doesn’t own the property, and the landowner spends most of his time in the Lower 48. 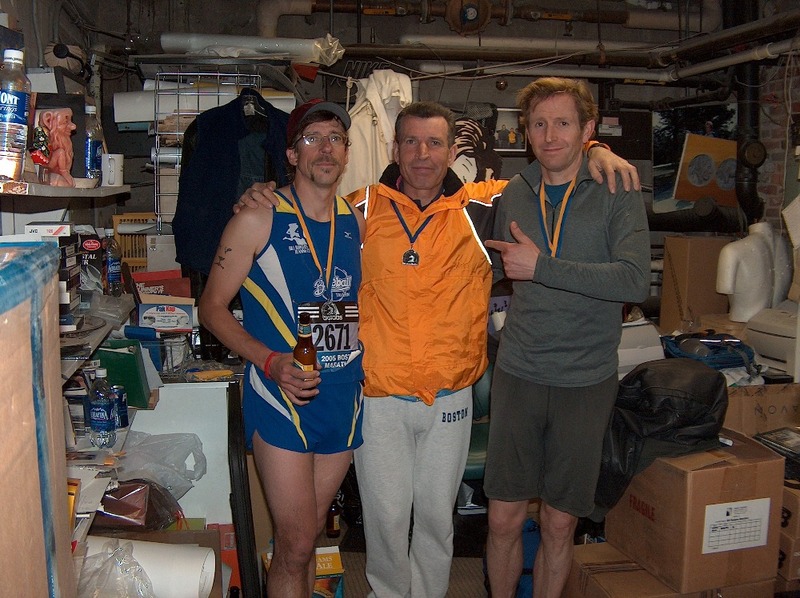 ( Leo is friends with the Marathon Runner Bill Rodgers & everyone at the Bill Rodgers Running Center in Boston, MA. He has come to run and also work and volunteer at the Running Center in Boston, MA for many years – We will be doing our best to spread the word about Leo and trying to help him, his dogs & his neighbors as much as we can through donations. Anything you can give will be a great help! – And if you can’t give please SHARE & SPREAD THE WORD) — Thank you all for your support! – Everyone at the Bill Rodgers Running Center. Thank you! Let’s help get Leo and his dogs back into a safe and secure home! Among its gentler parochialisms, Boston is called “The Hub”, or in full, “The Hub of the Universe” — a title conferred by Oliver Wendell Holmes in 1858. While a tad presumptuous given the size and scope of at least one other five-borough burg 220 miles to the southwest, it is nonetheless rather less disputable that The Hub of the running universe in the decade from 1977 to 1986 existed at 372-A Chestnut Hill Avenue in Boston’s Cleveland Circle, the address of the original Bill Rodgers Running Center. For those too young to remember, even after the Running Boom hit in the wake of Frank Shorter’s Olympic Marathon gold medal in Munich 1972, we still bought our running shoes at regular shoe stores or general sporting goods shops. Back then there were no such things as running specialty stores. I remember buying my first pair – I think they were $9.00 ProSpecs – at a little hole-in-the-wall shoe store on Harvard Avenue in Brighton, Mass. 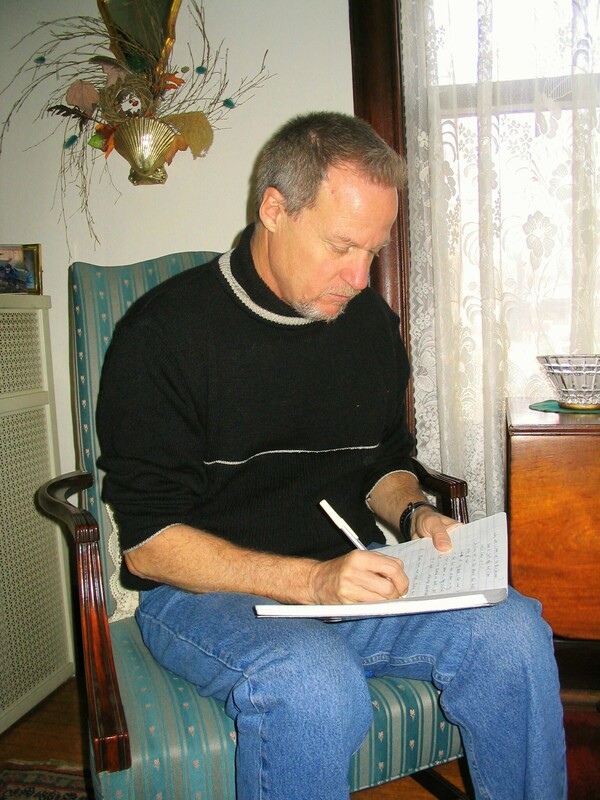 I was just quitting smoking, so I didn’t want to spend too much in case I didn’t like running. But as one habit was exchanged for another, and the running wave continued to mount, Wesleyan grad Bill Rodgers appeared as a legitimate rival to ex-Yale Eli Shorter. And with that, the sport of foot racing surged into the mainstream of American culture and finally business, too. There was a booming new market to service. A generation which had once assembled for ‘sit-ins” during college was now meeting for fitness runs after work. “Ready, Set, Sweat!” announced the cover of Time Magazine in the summer of 1977. Following his victories in the Boston Marathon in 1975 & 1977, then the first two (of four straight) New York City Marathon titles – when the five-borough course was still brand new – “Boston Billy” led running into its coming of age. Thus, with his fame still budding, Bill and his older brother Charlie opened the first Bill Rodgers Running Center in the fall of 1977. Cleveland Circle was an ideal location, on the western edge of the city, just one mile from the leafy Boston College campus, and terminus for the MBTA’s Green Line “C” trains. A bustling urban neighborhood, The Circle also happened to join the Boston Marathon route as it passed the 22-mile mark as the route turned onto Beacon Street for the final four mile stretch into town.